There’s a new Mac App Store just around the corner, in macOS 10.14 Mojave, and thanks to changes in Apple’s policies, it’s wooing back some beloved Apple developers like Bare Bones Software and Panic (see “The Big News about macOS 10.14 Mojave Is Dark,” 4 June 2018). 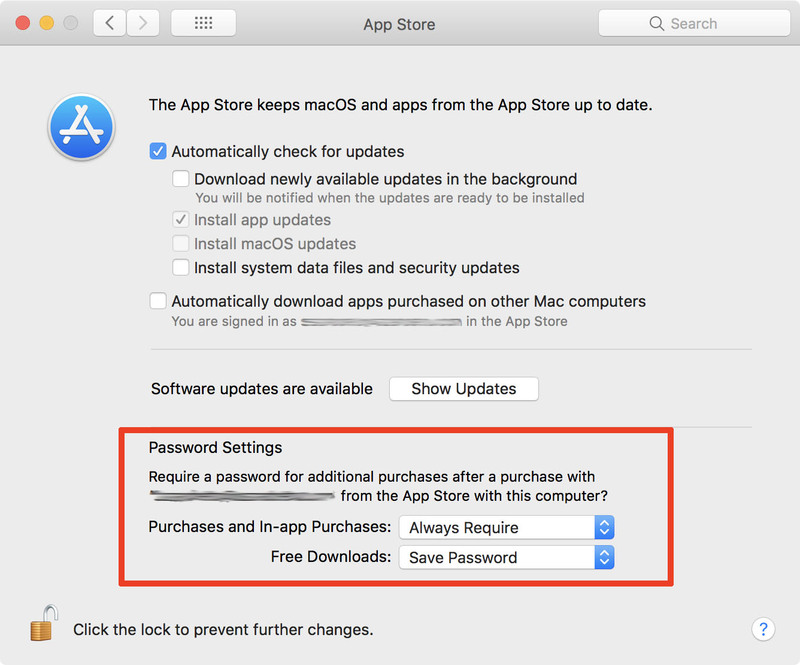 For the next several months, though, you’ll still be shopping in the current Mac App Store, with the current App Store app, whose features aren’t always obvious and which has a few glitches. The utility that you bought in 2010 which hasn’t worked in years, for instance, doesn’t have to haunt your Purchased list forever. You can avoid pig-in-a-pokepurchases by checking an item’s Info page, which includes reviews by users. You don’t have to supply your password for every single item you buy when you’re on a shopping spree. And if you experience an interrupted download, there are various ways to restart it. 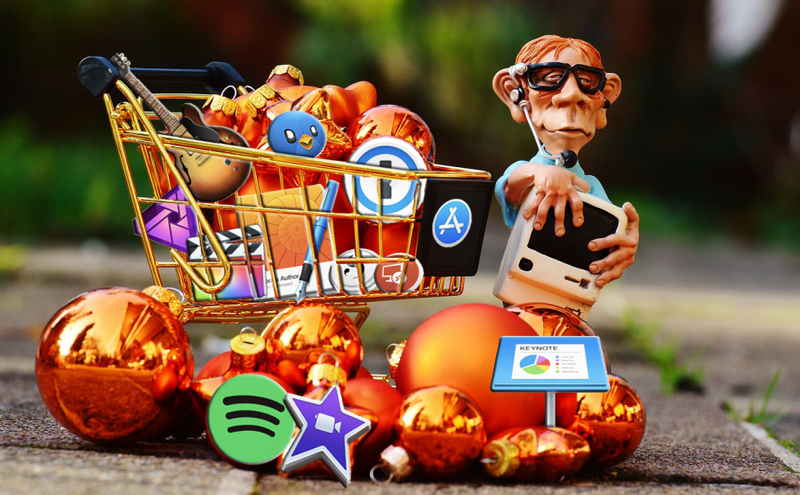 Now it’s time to go shopping: launch the App Store app (conveniently available by choosing Apple > App Store). If necessary, sign in with Store > Sign In. Use the Search field if you know what you’re looking for; click the Featured, Top Charts, or Categories button to browse. When you find what you want, click the item’s price, which changes to Buy App; click elsewhere in the window to revert to the price if you change your mind. Freebies have a Get button that changes to Install App when clicked. If you want to know more about an app before you buy, click its name to go to its Info page, which not only has further information but also displays reviews and ratings from users. You can use the Buy or Get button from there or move back to the previous screen with a click of the Back (<) button or by choosing Store > Back. The installation process of a downloaded app is nearly invisible. An installer file downloads, runs, and courteously erases itself. The app takes up residence in your Applications folder, and its icon appears in your Dock and Launcher screen. Your App Store Purchased list (click the Purchased button in the toolbar) is a permanent record of your interactions with the store. My Purchased list, like my clothes closet, still includes things I bought in 2011. It also still lists OS X Lion, Mavericks, and Yosemite, as well as various utilities I tried out but which were either not what I’d hoped or stopped functioning after a system update. Because your Purchased list is permanent, you can’t delete any oldsters. But you can hide them: Control-click anywhere in the segment that describes the item, choose Hide Purchase in the pop-up menu, and confirm the decision in the dialog. These hidden items are still part of your purchase history—they’re just no longer displayed in this list. Getting your hidden purchases back in the list is also a cinch, although it takes more steps. Choose Store > View My Account, and then, in the Hidden Items section, click Manage. Click the Unhide button for any item you want re-listed and click Done when you’re, you know, done. Here’s how to deal with the most common issues. 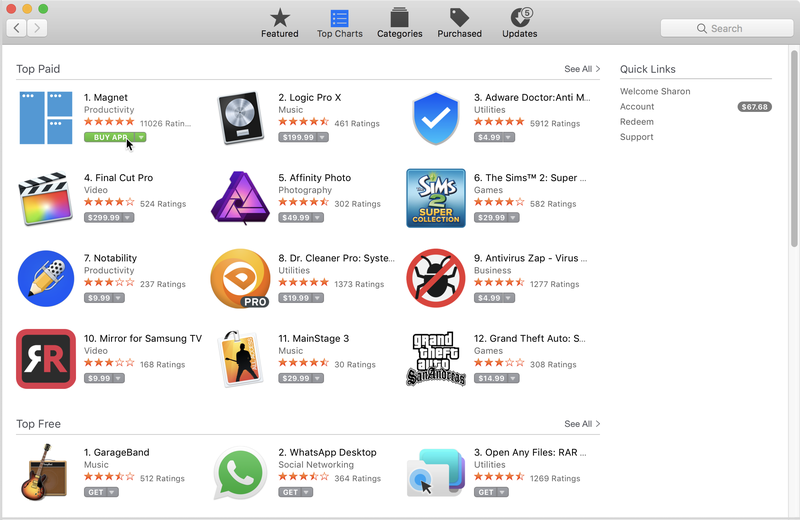 Look for it in the Purchased tab in the App Store window; if it’s not in the list, choose Store > Reload Page. If it appears in the list with a Download or Install button, click the button; you won’t be double-charged. If it has an Open button, check your Dock and/or Applications folder (or do a Finder search)—you may have been fooled by a small file with a very short download time. Most interrupted downloads pick up where they left off as soon as your Mac re-establishes its Internet connection. 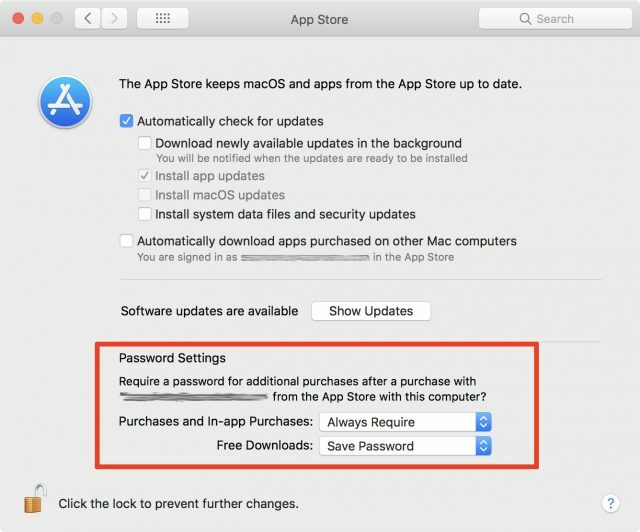 You might get a dialog asking if you want to resume the download, and sometimes you’ll have to supply your Apple ID again to prove that you’re still you. No auto-resume or dialog? In the App Store window’s toolbar, click Purchased, find the app in the list, and click its Resume button. If you were on a buying spree and clicked to download multiple items, you can check whether any are still in transit or waiting in line by choosing Store > Check for Unfinished Downloads. If a download seems to go smoothly but the app doesn’t appear in your Dock (or Launchpad screen), go back to the Purchased list and click the app’s Install button if it has one. If the button is Open, the App Store thinks it’s installed, so the problem might be that the installer downloaded but for some reason didn’t automatically run. Look in ~/Library/Application Support/App Store/ for an installer file, and launch it with a double-click. When I wrote about this a few years ago, Apple’s advice was to quit the App Store app, wait at least 10 seconds, and then relaunch it. Why 10 seconds—practically an eon in computer-cycle time? I don’t know, nor do I know why it’s no longer recommended. But I include it in case you’re using an older system and version of the App Store app and it would work for you; it won’t hurt, no matter your situation. Besides, quitting and relaunching a misbehaving app, wait or no wait, is the universal first-line palliative. I’ve only ever seen this once, and it was several years ago. I have no idea whether it’s still an issue because I can’t fake a problem that might trigger it. If you get a warning right within the Purchased list about a download error (or something else—again, my experience here is limited) for a specific item, and you redownload the item and everything is fine but the warning stays, here’s how to get rid of it: Choose Store > View My Account, scroll to the bottom of the screen and click the Reset button for Reset All Warnings for Buying and Downloading. “Reinstall” a macOS app: You see a reference to a Safari update—or Photos, or Mail—and realize that you’re a version behind, but can’t find an update for it? That’s because they, like other macOS apps (they’re listed here) are automatically updated when you update the operating system. Find a macOS installer: You won’t see macOS installers for macOS 10.12 Sierra or later in your Purchased list—unless it’s one that you haven’t yet downloaded—but they are available. If you need one, use the search field to find macOS installers, typing macos high sierra, for instance. Go to previous “screens” in the App Store: As you browse around for the latest offerings, you can easily move through screens you’ve already viewed. Click the Back and Forward buttons at the left of the toolbar, or use Command-[ and Command-] to trigger the commands in the Store menu. The App Store is checking your Applications folder: Check your Purchased list, and you’ll likely find a variety of buttons for the listed items, based on each app’s status: Download, Install, Open, or Update. I always thought the App Store app was merely keeping track of what I had done thus far with each item. But, no! Drag an installed app out of your Applications folder, and its button in the Purchased list reverts to Install. You may need to choose Store > Reload page to see this effect, but it’s automatically updated when the App Store app is relaunched. Put the app back in the Applications folder and its button in the Purchased list goes back to Open (or to Update, if that’s the status). This is equal parts convenient and creepy. Presumably, this works only if the item is still available in the Mac App Store, but I haven’t been able to test for that. Store credit: Your store credit is displayed under Quick Links next to the Account label when you’re in Featured, Top Charts, or Categories view. You can also check it by choosing Store > View My Account, where it’s at the bottom of the screen. Note that it’s the “Apple ID Balance,” not the “App Store Balance”: this is the same credit that shows in the iTunes Store and the iBooks Store. 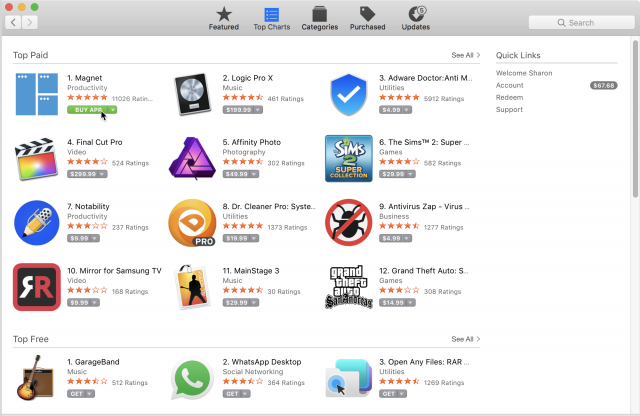 Do you have any tips to share for the Mac App Store? Let us know in the comments. And for bonus points, how many of the above icons can you identify?